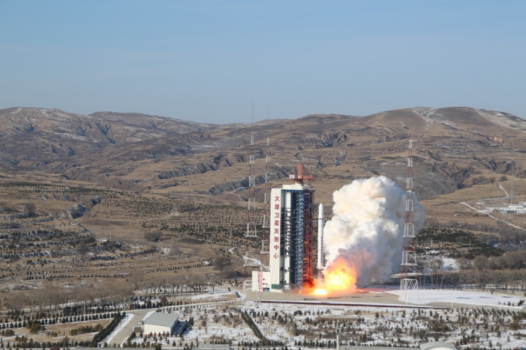 China launched a new remote sensing satellite called Gaofen-5 via a Long March 4C from the Taiyuan Satellite Launch Center on Tuesday. Launch took place at 18:28 from the LC9 launch complex. 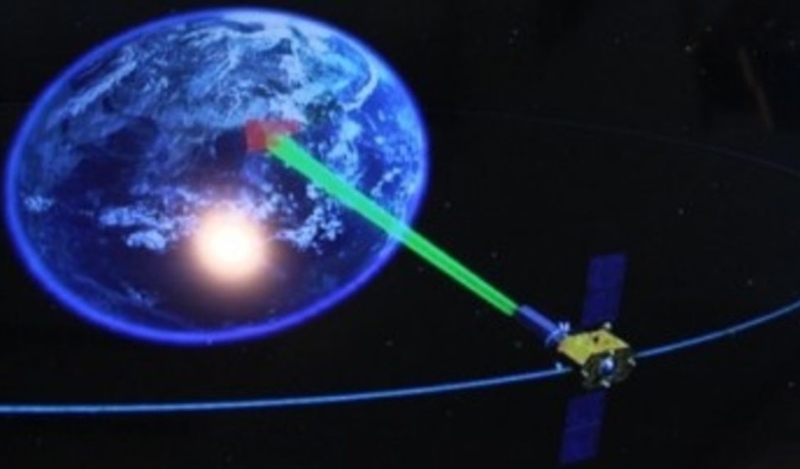 The Gaofen civilian high-resolution remote sensing satellites (gao fen = high-resolution) are part of a program that is one of the 16 main programs announced by the State Council in a 15 year plan of Chinese national science and technology programs between 2006 and 2020. The initial plan presented five satellites. Gaofen-1 employs a CAST2000 bus, configured with one 2 meter panchromatic / 8 meter multi-spectral camera and one 16m multispectral medium-resolution and wide-view camera. The satellite realizes an integration of imaging capacity at medium and high spatial resolution and with large swath, with designed lifespan of over 5 years. It was launched on April 26, 2013. Gaofen-3 employs CS-L3000B bus, configured with multi-polarized C band SAR at meter-level resolution, with designed lifespan of 8 years. Gaofen-3 was launched on August 9, 2016. 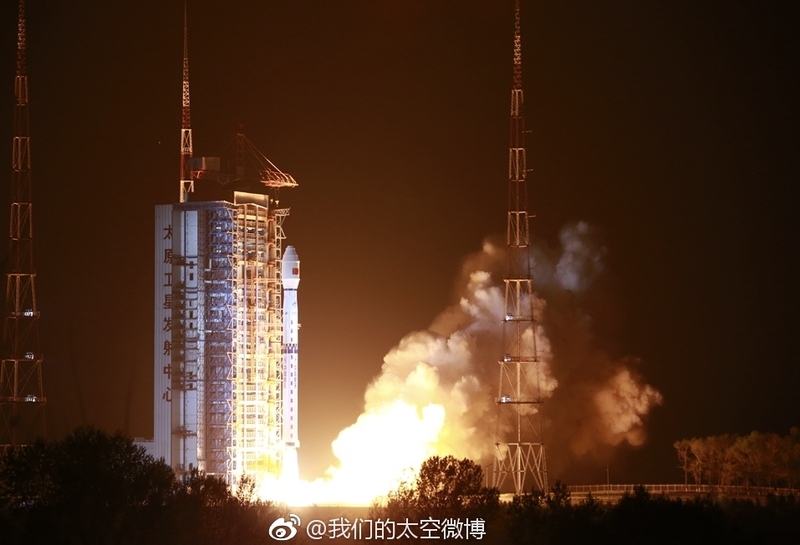 Gaofen-4 is China’s first geosynchronous orbit remote sensing satellite featuring a visible light and infra-red staring optical imager with a common optical system. The optical resolution is better than 50 meters, while the infrared resolution is better than 400 meters. 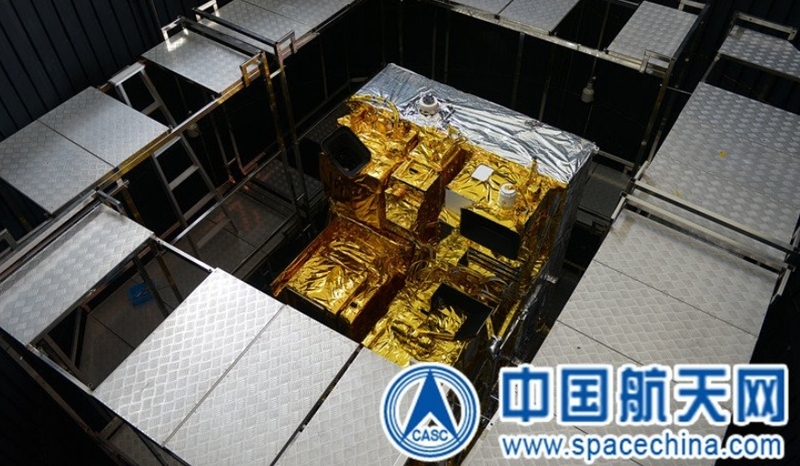 It is based on the SAST-5000B satellite platform developed by the Shanghai Academy of Spaceflight Technology. The six payloads on Gaofen-5 are the Advanced Hyperspectral Imager (AHSI); the Visual and Infrared Multispectral Sensor (VIMS); the Greenhouse-gases Monitoring Instrument (GMI); the Atmospheric Infrared Ultraspectral (AIUS); the Environment Monitoring Instrument (EMI); and the Directional Polarization Camera (DPC). The Atmospheric Infrared Ultraspectral (AIUS) will study the atmospheric chemistry, primary addressing the contents of O3, H2O, NO, N2O, NO2, CO and CO2 on our planet’s atmosphere. This instrument is a SWIR/MWIR/TIR spectrometer with a spectral range of 2.4-13.3 μm (750-4100 cm-1) and spectral resolution of 0.03 cm-1. It will use a scanning technique of limb sounding by sun occultation with horizontal coverage +/- 10 degrees and vertical resolution of 1.25 mrad. The Directional Polarization Camera (DPC) will measure the aerosol and cloud microphysical parameters using the Bidirectional Reflectance Distribution Function (BRDF). Measurements will be made on 8 VIS/NIR wavelengths, with 3 polarisations at 3 wavelengths, totaling 14 channels. The instrument will use 512 x 512 CCD arrays, 2400 km swath, each Earth’s spot viewed from up to 9 directions as the satellite moves. The instrument will measure the Aerosol Optical Depth, aerosol column burden and effective radius, aerosol mass mixing ratio and type, aerosol volcanic ash, amount of biomass; cloud cover, optical depth, top height and type; the Earth surface albedo; the Fraction of Absorbed PAR (FAPAR); Photosynthetically Active Radiation (PAR), and Upward short-wave irradiance at TOA. The Environment Monitoring Instrument (EMI) will measure the Ozone profile and total-column or gross profile of other species, including BrO, ClO H2O, HCHO, NO, NO2, O3, SO2 and aerosol. The instrument is a UV/VIS grating imaging spectrometer with four bands, totaling 1536 channels. It will use the Pushbroom scanning technique with a cross-track swath of 2,500 km. Resolution is 13 km along-track x 48 km cross-track. Greenhouse-gases Monitoring Instrument will study the CO2 and CH4 profiles using a 4-band NIR/SWIR grating spectrometer with a mechanical cross-track scanning, getting five cross-track samples at about 150 km distance, along-track sampling at about 130 km distance. Scanning swath is about 800 km and resolution of 10.3 km. The Shanghai Academy of Spaceflight Technology is subordinate of China Aerospace Science and Technology Corporation (CASC), being referred as The Eighth Division of CASC. The academy was established in August 1961 as Shanghai Bureau 2. In 1993 was renamed as the Shanghai Academy of Spaceflight Technology. 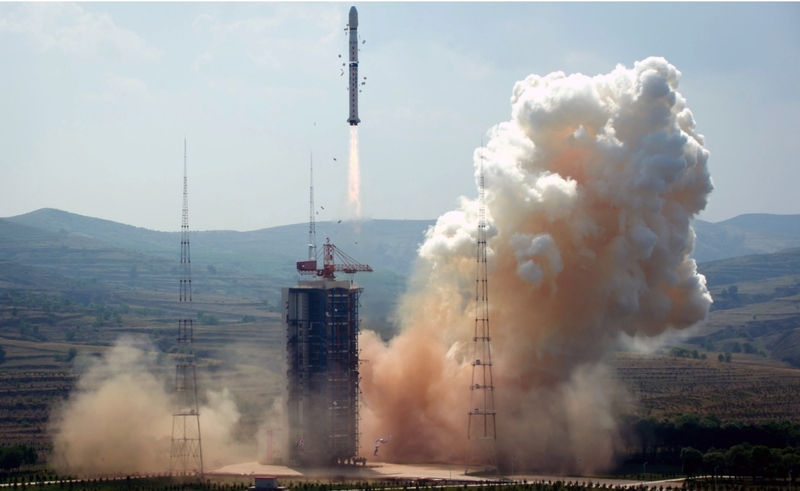 With its main commonality matched to the Long March-4B, the Long March-4C first stage has a 24.65 meter length with a 3.35 meter diameter, consuming 183,340 kg of N2O4/UDMH (gross mass of first stage is 193.330 kg). The third stage has a 4.93 meter length with a 2.9 meter diameter, consuming 12,814 kg of N2O4/UDMH. Having a gross mass of 14,560 kg, it is equipped with a YF-40 engine capable of a vacuum thrust of 100.8 kN and a specific impulse in a vacuum of 2,971 Ns/kg. The stages of the rocket were transported to the launch center by railway, and offloaded at a transit station south of the launch complex. They were then transported by road to the technical area for checkout procedures.